As reported by the Reuters news agency, it remains far from clear whether the 751-strong European Parliament will be able to muster in the vote the two-thirds majority needed to pass the censure motion, which accuses Hungary of persistently breaching core EU values. Hungarian Prime Minister Viktor Orbán described as “blackmail” the European Parliament vote on whether to punish his government for eroding democracy. “Hungary is going to be condemned (by this motion) because the Hungarian people have decided that their country is not going to be a country of migrants,” Orbán told MEPs ahead of the August 12 vote. He was applauded by the eurosceptic, far-right lawmakers in the European Parliament . If approved, the motion would theoretically open the way for sanctions such as a suspension of Hungary’s voting rights in the EU – but in practice that is sure to be blocked by Orbán’s ally, the conservative government in Poland. 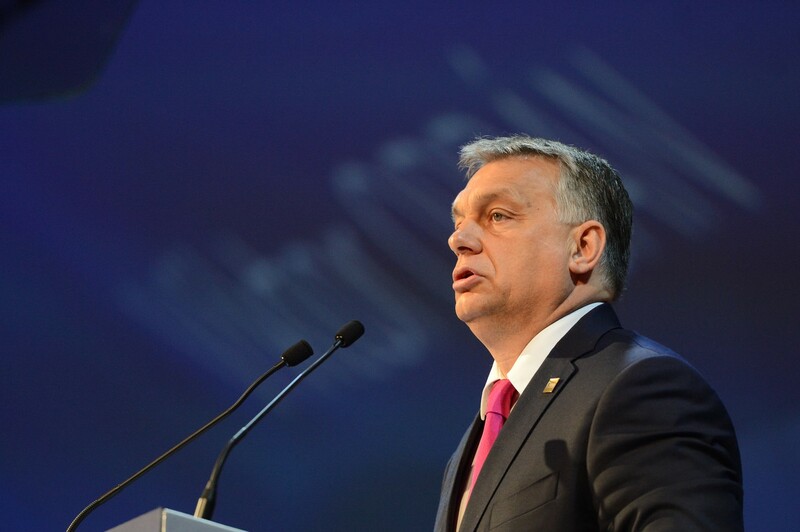 The motion against Orbán’s Hungary is not just about the country’s tough stand on migration. The report (tabled by Greens/EFA MEP Judith Sargentini) raises concerns about “fundamental rights, corruption, the treatment of Roma and the independence of the judiciary” in Hungary under Orbán. And so, even Orbán’s fellow migration hardliner, Austria’s Chancellor Sebastian Kurz, unexpectedly said his party’s five European lawmakers would vote against Budapest. “We believe that there can be no compromises on the rule of law and democracy,” Kurz told ORF television. But Italy’s anti-immigration Interior Minister Matteo Salvini said his League party’s six EU lawmakers would support Orbán in the Wednesday vote. The parties of Kurz and Orbán both belong to the biggest faction in the European Parliament, the conservative European People’s Party (EPP), which also includes lawmakers from the party of German Chancellor Angela Merkel. The EPP membership has muted EU reaction to Orbán’s policies over the years and the big question mark is what the group’s 217 members will now do. As reported by The Associated Press, EPP leader Manfred Weber, nominally an Orbán political ally in the assembly, conceded that “the start of a dialogue based on Article 7 could be needed”. Weber said the EPP would decide whether to support the Article 7 action. Should the EPP move against it, Fidesz would be under huge pressure to leave the group. “Democracy in our member states and in our European Union cannot exist without the rule of law,” Timmermans said, and went on to list concerns about fundamental rights, corruption in Hungary and the treatment of migrants. Timmermans said the European Commission has launched “audits and other investigations” into the alleged misuse in Hungary of EU funds. “The commission will not hesitate to take further action if necessary. My promise to you is that we will be relentless,” he told the lawmakers. While liberal leader Guy Verhofstadt described the Hungarian leader as “the seed of discord that will ultimately destroy our European project”, Socialist leader Udo Bullmann branded Orbán “the head of the most corrupt government here inside the European Union”. Bullmann has urged the EPP Group, led by his counterpart Manfred Weber, to finally stand up for European values and vote to initiate Article 7 (1) of the EU Treaty against the Hungarian government. “The EPP Group and their president Manfred Weber must distance themselves from Viktor Orbán if they do not want to lose all credibility as a pro-European party,” he said. In a similar vein, the European United Left–Nordic Green Left (GUE/NGL) called for Orbán’s authoritarian moves to be curbed.